CBD Oil Review rates the Entourage Hemp Company with five stars because it qualifies for the Quality, Safety, Mission, Charity, & Innovation Badges. Entourage Hemp has been a significant player in the CBD industry since the early days, and pioneered practices now deemed vital such as publishing CoA’s for laboratory testing with each freshly made batch. Their incredibly potent tinctures are six times stronger than anything else currently available, with 50mg of cannabinoids per .25mL serving. Considering Entourage Hemp’s dedication to providing the absolute best CBD products at an affordable price (and without exploiting children) we strongly recommend them as one of the best vendors. Entourage Hemp, through their holding company Cannoid LLC, has active research and development platforms in cannabis therapeutics, food, fiber, and materials science. We additionally resonate deeply with many of their stated values, including respecting the cannabis plant, and not taking advantage of sick children in the name of marketing CBD. The cherry on top of it all is Entourage Hemp’s dedication to what they call the ‘WholeFlower’ principle. This practice comes with the belief that while the entire plant contains therapeutic substances, the components most essential to human health are most populous in the seeds, trichomes, and tissues. When looking for a top-notch CBD product that is guaranteed to deliver results, go for it and give Entourage Hemp a shot! 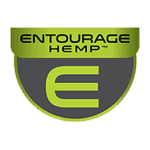 Entourage Hemp sources their premium, organically grown hemp from European farms. Entourage Hemp publishes CoA’s for individual products, verifying tests that screen for heavy metals, pesticides, herbicides, residual solvents, and other unwanted by-products. 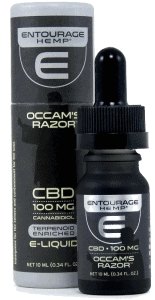 Entourage Hemp is committed to making clean and potent CBD products, and selling them at an affordable price. Entourage Hemp does outreach with veterans and patients with substance abuse problems, chronic pain, neurological disorders, and cancer. Entourage Hemp utilizes supercritical CO2 extraction to produce a full-spectrum CBD oil. I disagree with a lot of these comments. Entourage Hemp and their products are legit. 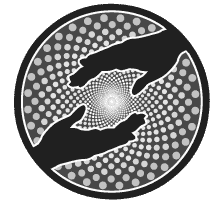 The owner works closely with Doctors in the Denver Metro Area to help patients with Parkinson Disease, PTSD, Insomnia, Anxiety, Substance Abuse etc. I have researched several CBD companies and, by far, Entourage Hemp not only has one of the best product lines but their website is very informative. My uncle suffers from Parkinsons and EH was generous enough to give him a bottle of CBD Softgels to try for FREE. They stand behind their product, have loyal customers and I can respect that. Very misleading company be very careful!!. They do not honour the products that they advertise to u stay clear . Hi Denise, sorry to hear that you didn't care for Entourage. When you say you could have bought a better product, do you mean one from them, or from a different company? If different, which one? I ask because I'm still researching which to try. I would just like to point out that the metals and pesticides test reports are posted on Entourage's website. I was able to find them with minimal effort while perusing their website.